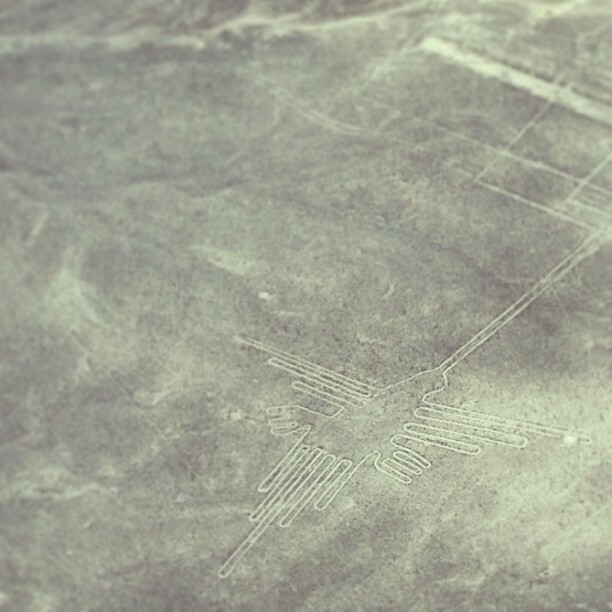 The Nazca Lines are not to be missed. It’s a UNESCO World Heritage Site of geoglyphs drawn in a desert in Peru thousands of years ago. No one knows exactly how or why these geoglyphs were created. But one thing I know is my brother calls this experience “20 Minutes of Torture“. 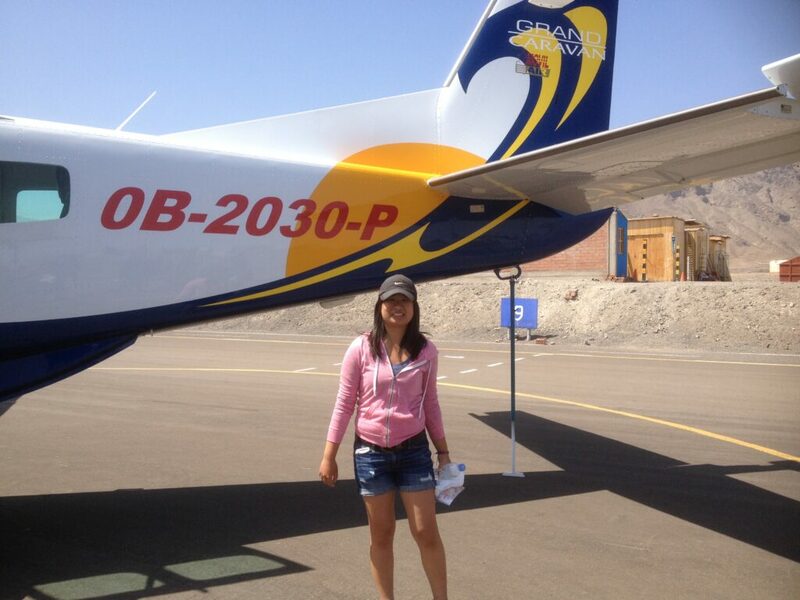 The recommended way to see the Nazca Lines is by a small 12 seater plane for $110 USD per person. And that’s what we did. When we arrived at the airport along with our tour group that we traveled with for a total of 46 days, we had to wait over two hours before we could take off because of the weather. It was foggy, therefore it’d be hard to see the lines. Two hours felt more like a whole day. In the waiting area, there were TVs on with documentaries about the Nazca Lines. The documentary just played over and over again. So after watching it, I looked around and noticed many tourists waiting too. The majority didn’t look too happy. Outside in the parking lot there were a few vendors selling Nazca Lines inspired souvenirs, like books, t-shirts and jewelry shaped into geoglyphs. 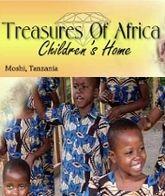 Our group browsed through the souvenirs and were still left with some time. The airport, named Maria Reiche Neuman Airport is very small. So if you have to wait too and have already watched the documentary and bought souvenirs, you can eat. 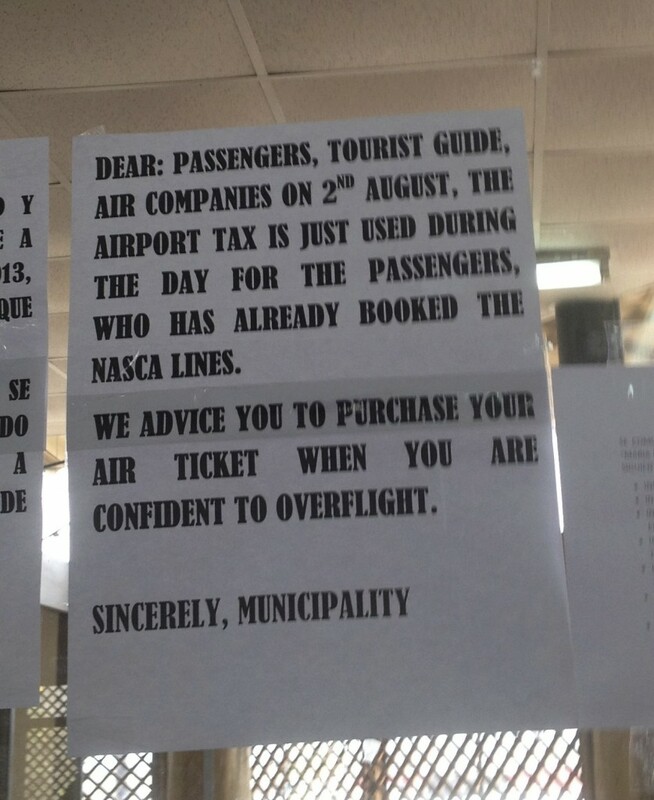 Along the airport’s walls outside are two options. One sold packaged snacks and had a sign advertising WiFi but when asked, they said it wasn’t working. If you’re hungry, head to the other option. There are tables around it and they served coffee and chicken sandwiches that everyone said was really good. Also one thing to note- the security guards at the doors are very particular about which door you enter and exit out of. Being at the airport for so long, I went in and out several times. And if you go out the wrong door, they’ll make you walk all the way around (telling this from experience). After watching the documentary, browsing the souvenirs, drinking coffee, eating chicken sandwiches, having conversations with people in our tour group and going to the bathroom- which is very clean considering some other bathrooms we had to use…- we still had to wait for the fog to clear. I took the time to sit and relax. And also walked around inside the airport. I came across this sign which got lost in translation. I’m still confused and have no idea what it means. Finally, when it cleared up, all 12 of us in the tour group had to be weighed. Everyone paid the USD $110 per person, got our passports checked, went through a quick security check and finally walked out to the plane. We stood in front of plane’s door and waited for someone to tell us where to sit. Turns out, they seat you in a way that the weight would be distributed evenly. My brother and I were the first to get into the plane, ending up in the front- right behind the pilot and co pilot. A Vine video shot while seated in the plane. When I sat down, I took a quick glance at the map showing the order of which geoglyphs we’d be seeing then took note of the safety guide and two barf bags in front of everyone’s seats. Since we waited for so long, our tour group was so excited as we were taking off. But that excitement ended a few minutes later when we were at a constant altitude of about 2500 feet. The first geoglyph to be seen was the whale. The co pilot was our tour guide as he would speak into his headset and let us know which side to look at. That’s when I realized why these lines weren’t rediscovered until the early 1900s. I missed seeing a few of the geoglyphs because the lines aren’t very obvious. And the fact that they weren’t too obvious wasn’t the only thing that made me miss them. 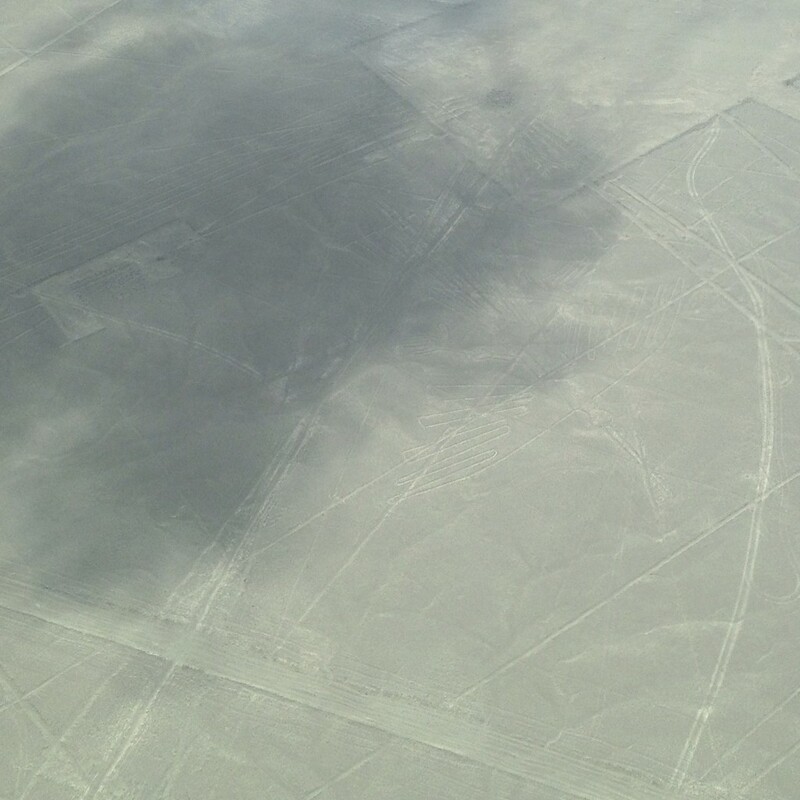 The plane had to tilt almost 90 degrees on our side for us to see the Nazca Lines. So by the time we reached the third geoglyph, most of us were beginning to feel sick. And when someone behind me started throwing up, I just wanted the plane to land. Even though I felt my breakfast coming up several times, I managed to keep it in and got pictures of some of the Nazca Lines. Tree and hands. 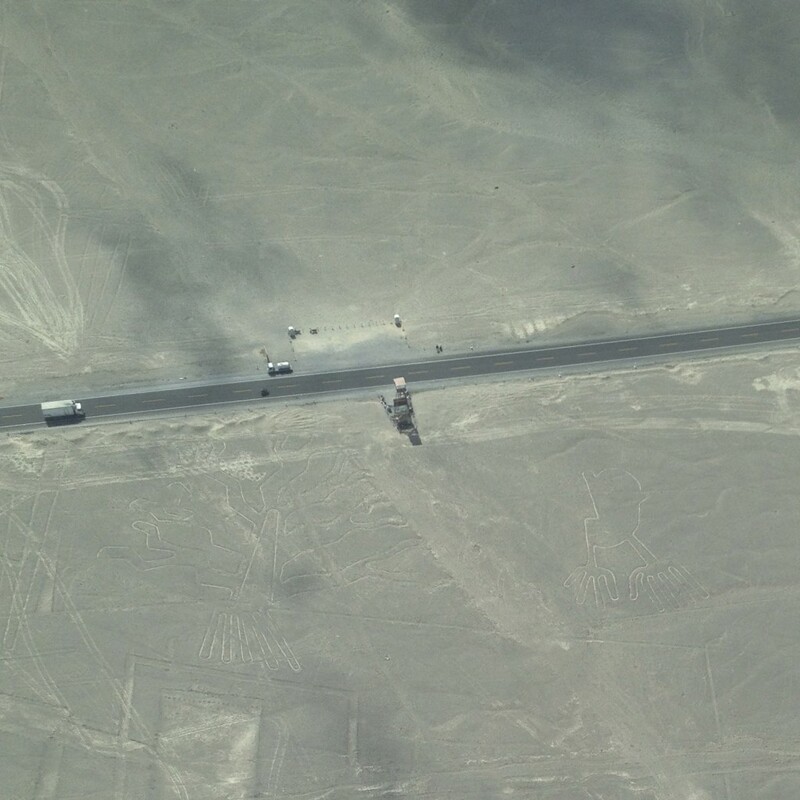 The road is part of the Pan American highway which runs through North and South America. It’s so close to the Nazca Lines that if it were any closer, it’d ruin the tree. And the small tower in front of the road are several stairs leading up to a platform serving as a look out point. 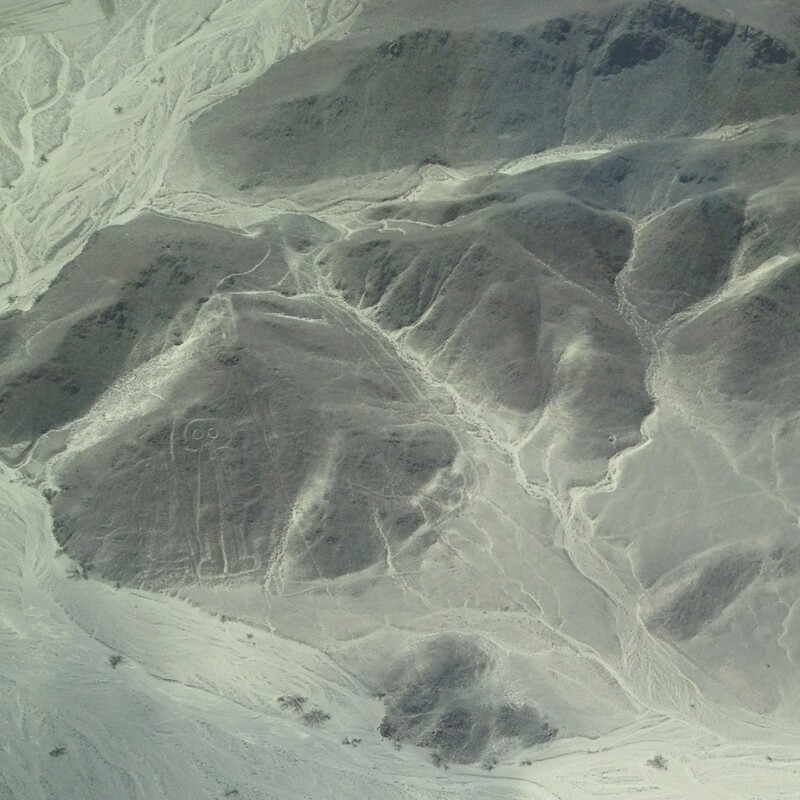 This is another option for viewing the Nazca Lines though you won’t be able to see all of them, just the tree and hands. 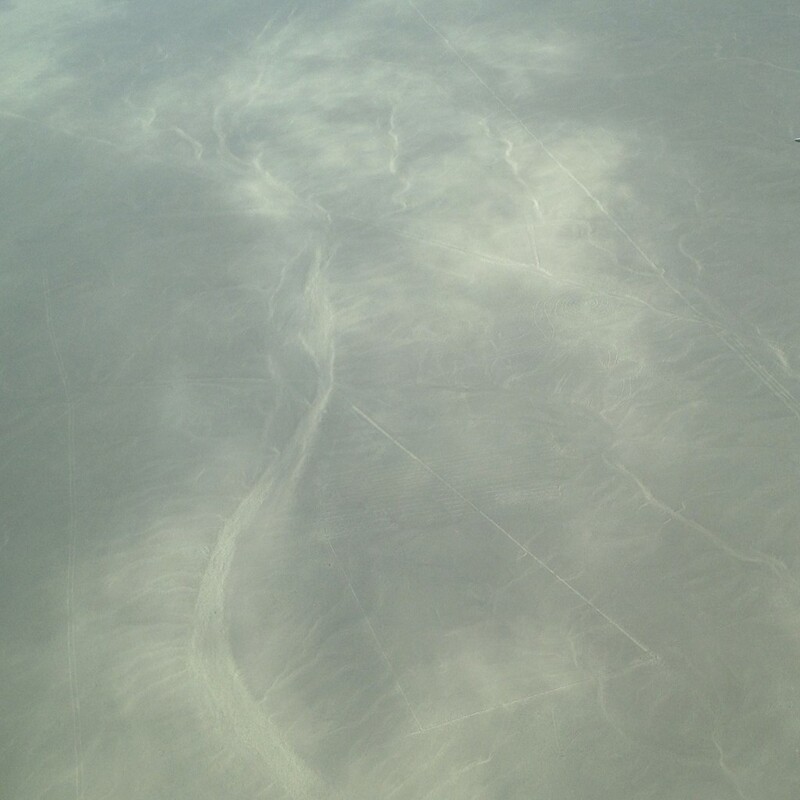 Towards the last few geoglyphs, the co pilot looked back and asked us if we were ok. My brother and I and the two people behind us were like no as we pointed to the guy that threw up. The co pilot nodded and told the pilot something, probably to not make too many turns. When we finally landed, everyone looked miserable, one person even looked green. 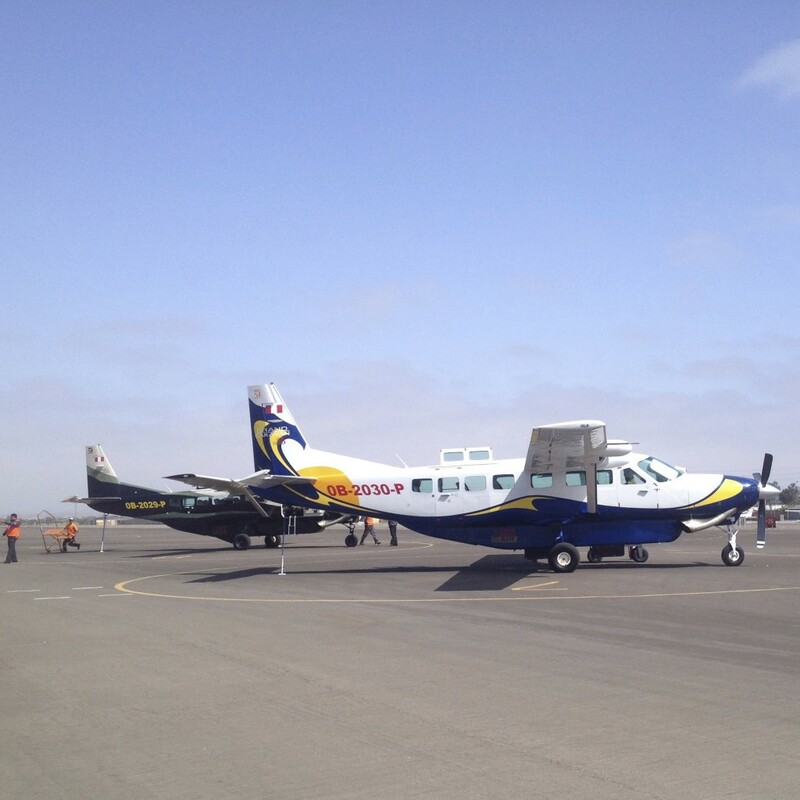 But through the rest of the overland trip, our group joked about the plane ride. 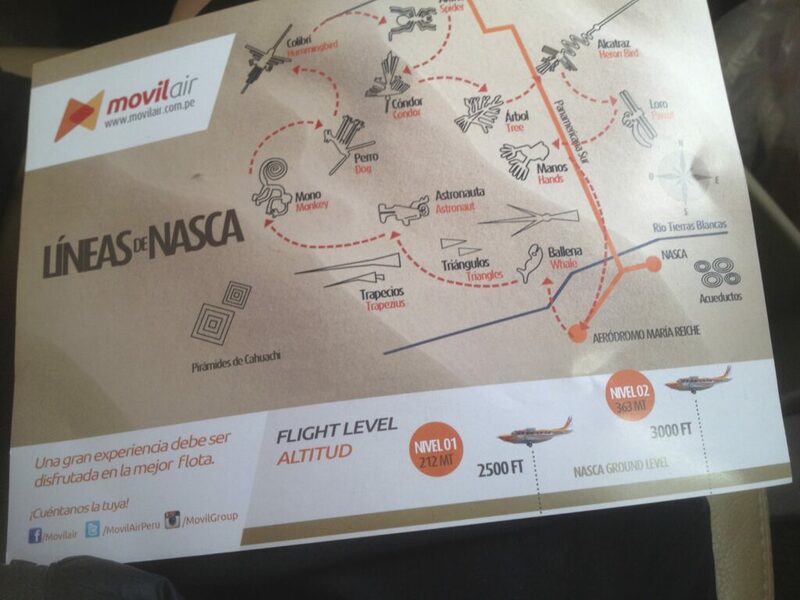 Would I recommend the Nazca Lines flight? Depends. I think it’s one of those things you can’t leave Peru without experiencing. But if you are prone to motion sickness, like my brother, who calls this experience “20 Minutes of Torture”, maybe not.